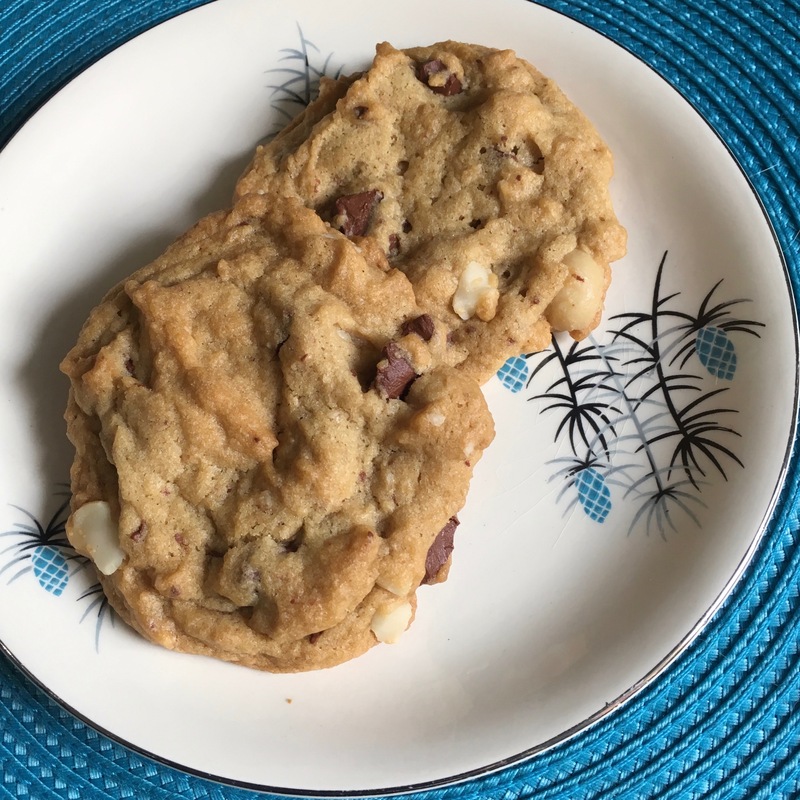 Macadamia and chocolate together are so decadent and so are these delicious vegan cookies! Beat in egg re-placer and add Vanilla. In another bowl sift together flour, salt and baking soda. Beat dry ingredients into the wet ingredients. Stir in chocolate hunks and nuts. Spoon onto un-greased baking sheet and bake for 8-10 minutes depending on how big you make the cookies. I used about 2 tablespoons for each. They should be a light golden brown when done. Cool on a cooling rack. The macadamia nuts are fatty and depending on which butter and egg replacers you use, the consistency of the dough may vary. Just add a bit of flour if you find your cookie dough a little too loose or oily.